One father led his son to The Wall and told him to touch a name. "Don't ever forget that man," he said. "If it were not for that man, you would not be here." From high above it looks like the perforation made by a dagger, into the heart of American soil. From the ground its nestled between two great Presidents, Lincoln and Washington. For many, it's a scene never forgotten. For each who visit here, contain a story within and leave a story behind. But it too has a story, a story larger than itself. A story of controversy, where controversy was being avoided. But this war was all about controversy. You see, this war was America's longest war and America's first televised war. This war was called Vietnam. His story is one of 58,286 stories - He was born in a small rural town in Wisconsin, the type of town where everyone knows your name. His father was fifth of eleven children and he was the oldest of seven. He was born in November of 1945, the same year that World War II ended. A war that even his own father served in. As a child he grew up around heroes for many of his uncles served during World War II and Korea. Now it was his turn to serve, for the Army had called his name. Back home, in Wisconsin, he had found the love of his life and she was something, especially to him. He was fortunate to see his beautiful baby girl get born. He had heard many stories of his fellow soldiers learning about the births of their children through letters, while they served. Nonetheless, he can still remember how his heart filled with joy as he held his little girl for the first time. He started his tour of duty in September of 1965. Life in Nam made a rural Wisconsin boy grow up fast, to be a man. His twentieth birthday was spent fighting for his life, against an enemy he knew nothing about. He always wondered what his father and uncles went through when they fought in places like Guadalcanal and Korea. Now he knows and he wishes he didn't. His story is like many of the 58,286 stories. He died for his country on December 3, 1965, not even three months in country. His daughter will never know the joys of Christmas spent with her father. She will however, see her father's name etched in the black polished marble. There are over 58,286 names that contain over 58,286 stories that are etched in the black polished marble of the Vietnam Memorial called The Wall. The controversy around The Wall is something to look up and read about. But we are not here to speak about the quarrels and squabbles of this reminder. We are here to remember and honor their sacrifices. I realized that was a Mother's child, that was someone's husband, father... just all the stories and all the memories of that child. Each one of them [each name] have that and there are thousands of them. As I got closer, I just stood and I listened to some of the stories. There was one that caught my attention... the mother was tracing a name off The Wall and her tears were coming down and she had her little note that she left there. I just listened to her talk into The Wall and that just struck me as I stood there. I saw another mother, she had a little child - a little boy and she was talking. He was questioning who was this name on The Wall. He didn't know who it was, he said 'well that's the same name as me!' It's these little stories that just hit me. It just hit me that they are 'more than a name on a wall.' It was just such a profound statement. I made a mental note, I've gotta write that." Jimmy returned home and scheduled a songwriting appointment with his friend and fellow songwriter, John Rimel. Within an hour the two had written the compelling and powerful song "More Than A Name On A Wall." "He [John Rimel] started playing the piano and playing the music; then the words just started coming out. We wrote that song, it wasn't long. It probably wasn't even an hour we finished it." shares Jimmy. "We sit back and listened to it and we both looked at each other and went...'Wow! This is really powerful.' We felt the power of that song that it was gonna touch people in a way that it was gonna express the fact there really is some body who cares. We wanted to let them know that this country...at the time they didn't understand that war, and there was a lot of misunderstanding. Some of the soldiers were spit on when they got off the plane. As time has gone on, the majority of America does not feel that way. Majority of America loves those people and they want them to know that they suffered just like every body else in every other war. That their sacrifice was not in vain to us. It was for a purpose, because they loved this country and wanted to protect us. Not only just us, but others and that is what America is all about. They went and gave their lives just like they did in World War II and in any other war that was fought. So it was important that I felt like I need to say that." When Mr. Fortune played the song for the other members of The Statler Brothers; Don Reid, Harold Reid and Phil Balsley; the room was quiet. "It was a powerful song. We all knew that." shares Fortune. "But we also knew that there was some controversy about it." The controversy went beyond The Wall and Washington, D.C.. The Statler Brothers released the song as the third single from their Greatest Hits album in April of 1989. "More Than A Name On The Wall" quickly rose up the charts to become one of the Top Selling Singles of the time as it reached Number 6 on Billboard's Hot Country Singles chart. However, there were two radio stations who refused to play the song, which prevented it from reaching Number 1 status. Since it's release, the song has become a favorite of audiences across America. In October of 2002, The Statler Brothers disbanded and some retired from the music industry. Jimmy Fortune went on to further his musical career as a solo artist. 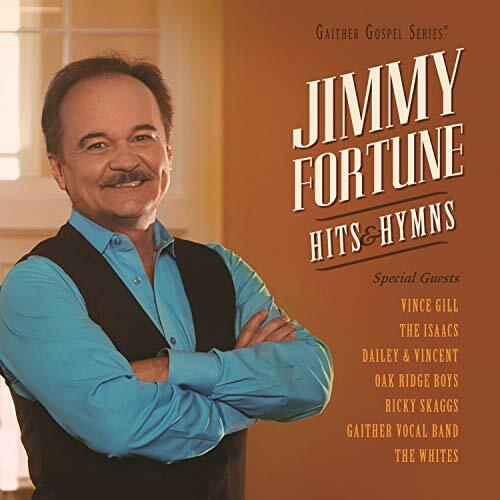 In 2015, Jimmy released his latest project called Hits & Hymns. The album contains fifteen beautiful songs including a new rendition of "More Than A Name On A Wall." In the new version, Jimmy gains the help from Becky Isaacs, Sonya Isaacs and Ben Isaacs to create a more down to earth Bluegrass adaptation. This song has been added to our list of Top Songs of 2016 thus earning a nomination for The Spirit Award's Song of The Year Award. The song is also nominated for the inaugural of The Spirit Award's Spirit of America Award. Fans can vote for these awards come December. Even today, the song still effects those who hear it. "In all my shows, people come up and express...the ones that get me the most are the ones that come up and they can't get a word out. There's just tears coming down..." sincerely states Jimmy. "...and they reach out and I say 'More Than A Name On A Wall?' And they'll shake their heads and that's all they can say. It happens a lot! It happens more than if people come up and say 'I wanna tell you my story about what happened to me.' It happens more that they come up and cannot get a word out. That really touches me..."
Although Jimmy never served, like so many he too heard the call to serve in the Armed Forces. However, the military would not take him on the account that he was a man with family. Mr. Fortune does not take credit for writing such a powerful song. He thanks the good Lord above for allowing him to be the catalyst for His message. "It's a song, that I felt...It's from God, it just happened to pass through me." shares Jimmy. "I really feel like it's a message from God to these people that he means to hear it. I really feel that way about all of my songs. Our job as a songwriter and also as a human being is to get the message out that God wants someone to hear." Twenty-seven years after it's release, the song has stood the test of time. It has healed, honored and reminded us of the sacrifices made by many. He was buried, in a modest grave yard, in that little town in Wisconsin. Although his daughter wasn't even a year old, she still watched as they laid her daddy to rest on that December morn. She will never get to meet him in his human form, nor will any of his cousins and grandchildren who were born after him. Each day, his mother still wonders and asks God why? His memory still lives in the pictures that the family holds dear.